In my first 50 days as the CEO of the Community Cycling Center, I’ve met all types of passionate and dedicated people in our active transportation ecosystem. One common theme has emerged: the infrastructure that we have in place to support active transportation advocates isn’t working as well as it should. Recently, Noel—our Development Coordinator and board member at Oregon Walks—and I attended the Walkability Strategy Summit, an event coordinated by Safe Routes to School, America Walks and Oregon Walks to convene over 70 advocates and experts around developing a strategy to increase active transportation and walking in the region. We were asked to split into six groups and come up with our top priorities to share with the plenary of elected officials. Three of the six groups had the same set of questions: Where should we show up? Who is setting the priorities? How can I support the engagement of my constituency? When are the decisions being made? What should we ask for? As I followed up with individual participants after the summit, I shared this example to make sure I understood the needs implied. Healthy process continues to be a priority at the Cycling Center. Appreciative Inquiry—the act of studying and co-designing a compelling future state of advocacy—is on the top of the agenda for my presentation at the Bicycle Brown Bag this Thursday at City Hall. I want to make sure that we are hearing the needs of advocates and can begin an engagement of stakeholders that will co-create the next generation advocacy network infrastructure. 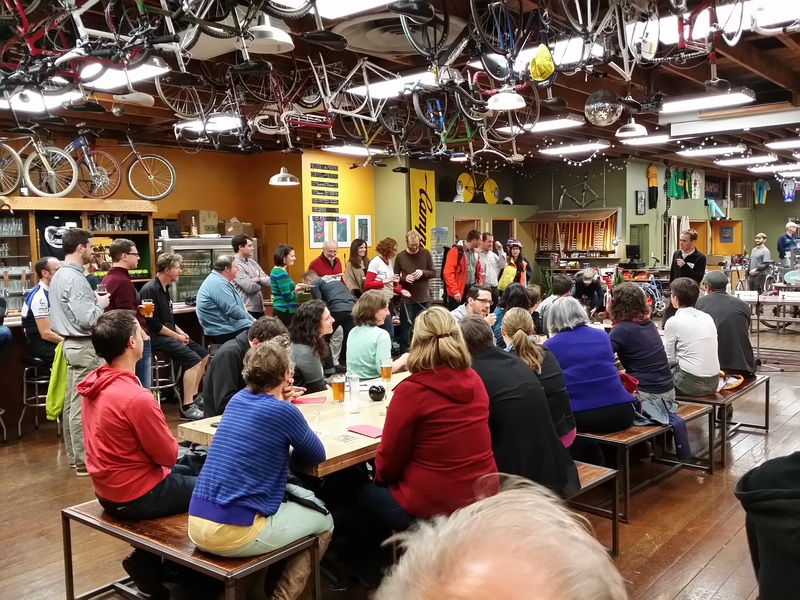 The Community Cycling Center is committed to supporting active transportation advocates throughout our region. We believe that greater connectivity, capacity and accessibility in our advocacy network will help ensure success in campaigns that aim to improve the built environment through transportation projects. 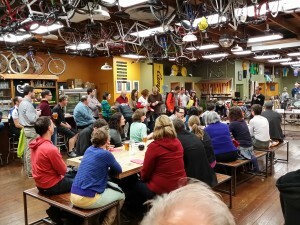 If you are interested in participating in the development of solutions that will help fill the gaps in our advocacy networks, please send an email to Avenues@CommunityCyclingCenter.org. In the future, we’re planning focus groups to discuss the opportunities and challenges that everyday people face and we need your input and involvement.